Welcome to SAP Workflow Tutorials. The objective of these tutorials is to provide in depth understand of SAP Workflow. In addition to free SAP Workflow Tutorials, we will cover common interview questions, issues and how to’s of SAP Workflow. SAP Workflow ensures the right work is brought in the right sequence at the right time to the right people. It is a tool designed to facilitate and automate business processes that require tasks to be performed by people. Each step of a business transaction can be easily monitored and processes are completed from the beginning to the end. Workflow allows process owners to keep an eye on deadlines, provides statistics on the length of time to complete work processes, determine the workload with regard to individual employees and save processing time. Since Workflow delivers work items to employees automatically via email, they do not have to wait or inquire about the status of a particular transaction. SAP Business Workflow can also be used to respond to errors and exceptions - it can start when predefined events occur. 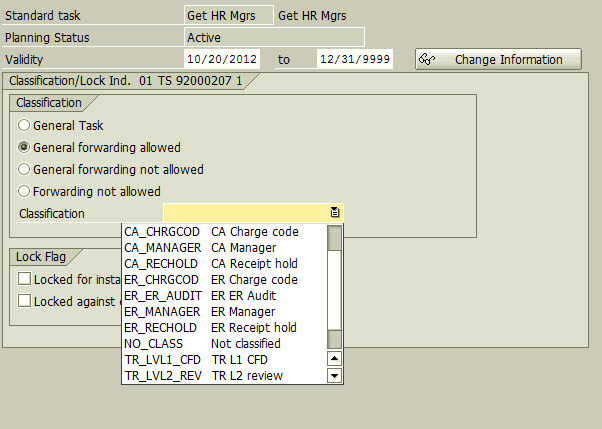 For example, an event can be triggered if particular errors are found during an automatic check of the data SAP workflow is particularly useful when there is a business process involving more than one person, when an automatic notification can replace a manual communication and when there is a defined set of individuals and/or documents implicated. It organizes one's work, alerts users and directs traffic by sending work items - once the user executes the work item, then another one can be sent to another user. The workflow application would ensure that each person involved uses the correct online form and successfully completes their step before the planned leave was entered into SAP - either by an Administrator or automatically. By the same token, if someone registers for a training class, Workflow can act as an alert tool by notifying the supervisor in question or reminding the individual of an upcoming class. Even though Workflow can be implemented via user-defined tables without the Organizational Management component in place, having a per-defined organizational structure adds tremendous value and saves time. A clear reporting structure made up of positions and position holders that is maintained by the HR department, ensures the ongoing ease-of-maintenance effort. The ability of HR personnel to add and delete users from positions as people come and go, without affecting your core workflows, is a tremendous long-term benefit. If you have Personnel Administration in place, employee's email addresses can also be maintained by the HR department in addition to employee's respective Time/HR and Payroll administrators who might be involved in the Workflow. demo on SAP Workflow Training Online. SAP Business Workflow is a solution which has been integrated fully in the R/3 System and which enables customer-specific business process flows to be coordinated and controlled on a cross-application and cross-workplace basis. SAP Business Workflow therefore enhances ready-made application software. The SAP Business Workflow definition environment is available in order to represent business processes in a simple manner and to be able to respond to changing external conditions quickly during ongoing operation by flexibly adapting the business processes which have already been implemented. A number of SAP applications support Workflow Management by SAP Business Workflow. In many situations you can therefore use workflow scenarios which have already been configured. These can either be implemented without any changes or they can be used for your business processes with minimal adjustments. These workflow scenarios reduce implementation time significantly and are optimally adjusted to the respective application functions. The workflow scenarios are integrated in IDES (International Demonstration and Education System). It is possible to run the business processes of a model company in this fully configured system. The main application utilized for the creation, display and processing of workflows is the workflow builder, whose transaction code is (SWDD). You can use this application to create all the necessary parts of a workflow, not excluding all the containers needed for each step. Workflows are usually initiated by a specific business event like the arrival of a new purchase requisition . The data that needs to be processed by a workflow is defined through binding. Call transaction SWDD, which opens an initial workflow description form. The starting and ending point of the workflow definition are depicted by two identical icons that are labeled, workflow started and workflow completed, respectively. The exact area where the definition is inserted is represented by a play button that is labeled undefined. Double-click on this button which will open the “step selection” window. Navigate to the “user decision” option and double click on it. -Use familiar Microsoft Office tools Users can respond to tasks from a familiar Microsoft Office environment, and use many familiar Office tools to work with the task contents. -Easy to add web parts Site owners can easily add Web Parts to the task form for related information, such as SAP reports and supportive documents. On the task form, the Web Part displays a list of links that users can click.to see the information. -Configure with minimal IT help Site owners can configure and activate SAP workflows with minimal assistance from IT, and no need to request time-consuming and expensive programming support. -Access to tools for customization Site designers can customize task forms, the content of email notification messages, and the appearance of pages that list the tasks. They can customize some elements without writing code, just by using features in SharePoint Server or SharePoint Designer 2010. Alternatively, they can take advantage of well-documented programming interfaces for more advanced customizations. Substitution works out of the box without any configuration as long as the technical configuration is complete (Tcode SWU3 – Automatic customizing). Using substitutions without further fine tuning means that delegation is 100 percent – all tasks of an approver are presented to the substitute. If the approver wishes that administrative approvals (timesheets, leave requests) be approved by an assistant but other sensitive approvals go to a peer, then further customizing needs to be done. The assistant might be set up as a substitute with one profile and the peer as another substitute with a different profile. To define classification labels, go to SPRO>SAP Netweaver->Application Server->Business Management->SAP Business Workflow->Basic Settings->Maintain Task Classes. Here you freely define classification labels with descriptions. Make sure that the descriptions are easily understood by your users. To define substitution profiles, go to SPRO>SAP Netweaver->Application Server->Business Management->SAP Business Workflow->Basic Settings->Substitute Profile->Define Substitute Profile. Group the classifications into profiles. In the previous step, we just defined names for substitution profiles. In this step, we assign the classifications to the profiles and make their definition complete. To assign the classifications to profiles, go to SPRO>SAP Netweaver->Application Server->Business Management->SAP Business Workflow->Basic Settings->Substitute Profile->Assign Substitute profile. Profile OM_ALL has all the classifications. This is a global profile. Profile TE has all Travel and Expense classifications. Profile TS has Time sheet approval only. Profile CA_ALL has all Cash Advance classifications. The shaded box at the top are the profiles, the bottom box are the task classifications. This diagram shows the logical structure of the profiles. It does not mean that profiles are assigned to other profiles. 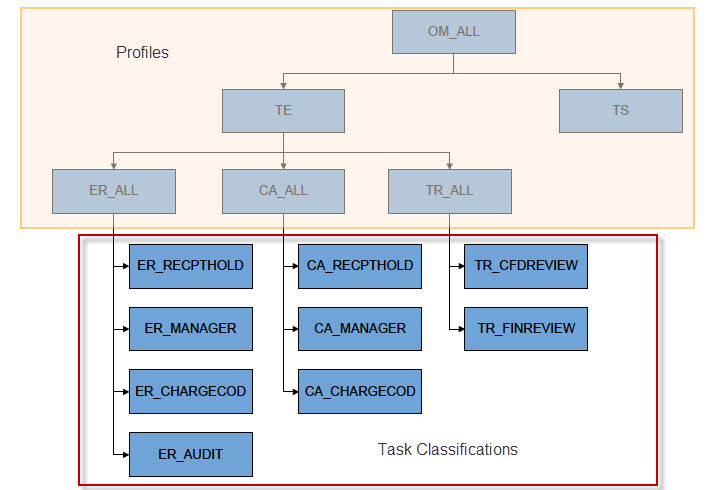 Learn more about SAP Workflow Interview Questions in this blog post. The final step, though not technically a customizing activity, is classifying the tasks. Tasks are classified in transaction code PFTC. Open up a task in change or display mode in PFTC. To classify it, go to Additional Data->Classification->Create. Drop down on the classification field and pick one of the available classifications. A business process can consist of several steps. Tasks have been coordinated manually or by some informal means of communication (sticky note, e-mail, shouting, and so on). -How much time it requires. In contrast, the workflow ensures that the right work is sent to the right person at the right time in the right sequence with the right information. Workflows are very useful for business processes which Contain a sequence of activities, requiring same or similar forms and Involved several people or groups of people. Require considerable coordination. The quality of the process is assured by pushing the relevant information together with links to related transactions directly to the user. Managers don’t have the time to search for information so give them what they need to reach the correct decision. Cycle time is reduced by pushing the process directly to the users. The users receive notification of a task immediately and can even be prioritized by the system. The tasks are performed consistently and diligently by the users. The workflow system pushes all the necessary information needed to perform a task, including a clear description of what has to be done, how to do it and the impact this task has on the business process for your company. At any time, the user can check the list of tasks pending and determine at a glance which are the important tasks, and which tasks can be completed the next day without any negative impact. The process instance is transparent Any user can check at any time how far the process has progressed and which stage the process has reached. 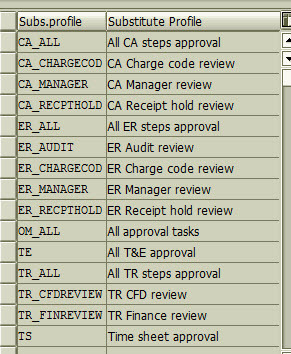 For example the call centre can immediately see the status of a purchase order, an employee requisitioning a purchase would see at a glance if a colleague has been sitting on it for too long, the ad hoc notes made when approving an engineering change request are visible long after the request has gone into production. The process is flexible, allowing it to be changed on the fly without retraining everyone involved. The description accompanying the change takes care of on-the-fly process improvements. Deadline handing ensures that users perform the tasks within the time planned. Escalation measures ensure that the failure to meet a deadline can be corrected by other means. Intelligent reporting highlights the weaknesses of a process. Often there is a simple cure to such weaknesses such as reeducating the users involved in the bottleneck or providing additional information (automatically). The difficulty of a non-automated process is identifying such bottlenecks. The process definition is transparent. You can see at a glance how the process works and who will be selected to perform the different tasks. Think of the workflow as the process book. If you can spot the pattern and define the process without headaches, you can create a workflow definition effortlessly. However, don’t forget that if a company has business processes that are erratic and lack a consistent pattern, the company is very likely to be losing a lot of money in terms of lost contracts, labour intensive administration and low customer confidence. It is my personal opinion that automating exactly this type of processes will yield the best returns, but only if you limit yourself to automating the basic skeleton of the process first. Don’t get bogged down in the detailed exception handling. That can be done in the next phase once you’ve checked the process statistics and determined which exceptions are worth tackling. As with most software the reasons for automating business processes are primarily to increase the competitive edge of your company and to cut costs. Although the increase in competitively gained by radically reducing process times is by far the most insignificant gain from workflow, you should not ignore the cost savings. The cost saving calculations are needed by upper management in order to approve workflow projects. This upper management signature will be very useful in different phases of the project and cannot be underestimated.